Premier Wedding Collection is a company of the best wedding planners in Cleveland, OH, who are completely focused on creating your dream wedding. 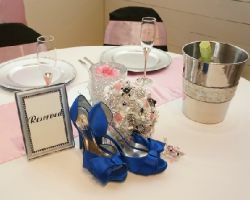 With a mission to make your big day special, you know you will have a beautiful and personalized event. Not only will this company help you find the right vendors for your style and taste but they will also work with you to ensure all of the details are perfect for you as well and the entire thing is executed beautifully. 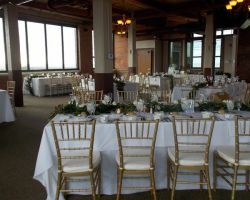 Shi Shi events is a company dedicated to planning sophisticated and elegant events for local couples in Ohio as well as those looking to plan a destination wedding and celebration. 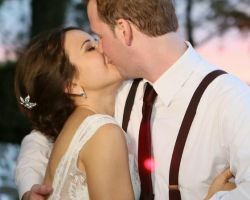 This company believes that your wedding reflects who you are and your style so they are focused on making sure your event is true to both of those things from the ceremony to the final dance. Having this company help plan your wedding is the only way to ensure it will be true to you as a couple and flawlessly successful. Whether you simply need an organizer to make sure everything on your checklist has been done or need someone to come up with a design and style for your event that suits your tastes and makes it happen, Your Wedding can make it happen. This company has over 30 years of experience helping local couples to plan their wedding day, which means they are not only familiar with the flow of the event but are also ready to fix any possible problems. Having a wedding consultant with experience is key if you want your event to have an effortless feel. 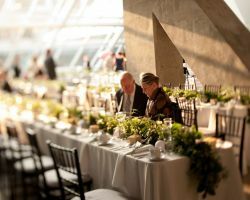 Since 1991, the team at Savoir-Faire Event Planning has been making beautiful custom events come to life with little effort and stress on the couple’s part. The team doesn’t just plan events but focuses on planning celebrations. If you want your entire day to be a party based around the love you share with your partner then hiring these certified event experts is a must. There are few Cleveland wedding planners with as many incredible reviews as Personal Touch by Covesa. The clients of this company are so happy with their wedding and their planning experience that they can’t help but rave about it. Many brides say that hiring this company gave them the high-end celebrity experience the have been dreaming of for their wedding day. Having a consultation with the experts is the best way to see what they can do to meet your style and needs at your wedding. 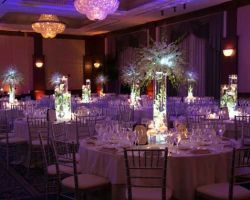 Fine Events By Daphne is not only one of the top planning companies, but one of the top companies when it comes to making those plans become a reality. From beginning to end, you will feel like you have a friend in the entire wedding planning and organizing process. The professionals at this company will act as a resource for you to draw from as well as provide inspiration when needed and then help to make it all happen so you experience as little stress as possible. Having a company that truly does whatever it takes to make their clients happy and make their event unforgettable is certainly one that you want to have on your side in the wedding planning process. 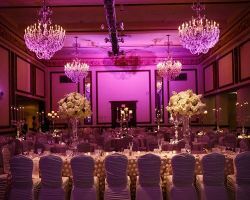 Elegantz Eventz is one such company completely dedicated to its clients. They focus on your needs and what you want to happen on your big day and then act as the coordinator to make it all happen with as little stress to the couple as possible, saving them time and keeping them on budget.